Classroom based solution in which Spears Class will be installed on the computer in classroom and the specific class content can be accessible in the respective classroom system or else it can installed in the respective classroom's system as well. Specialized solution to help the teachers to teach in the class and increase productivity with supplementary resources to their classroom activities. 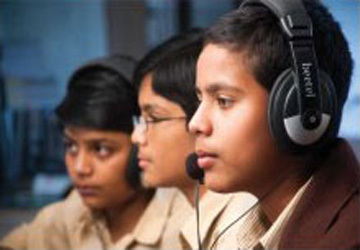 Spears Net Language Lab is an institution network based curriculum based communication and language skills solution. It is an implausible combination of excellent Language Lab technology and complimentary high quality English teaching content that has been designed to fit the needs of all the school students. Based on a scientifically proven and methodologically designed language teaching system it incorporates therapies, methodologies and concepts to take the students through a serious learning session coupled with fun. It can be installed in the existing computer lab or a separate Language Lab can be set up. Web based Language Lab for school is an acknowledged learning software; designed to facilitate students to learn communication skills from anywhere anytime via., web, mobile or tab. This novel technology empowers the teachers to create and customize the learning content according to their curriculum to fit every learning need at anytime. Keep your students motivated! It provides a live way to learn a language online. Mobile vocabulary training and online productivity tools provide effective language training - anytime, anywhere. Clearly structured self paced learning resources; helping students to follow their personalized learning path is the perfect self-study language course for students who need to brush up on their existing skills. Make language skills, PD trainings and other eLearning facilities available to students at their own convenience.